We have had numerous people asking about castor oil for eyelash growth (eyebrow growth as well). We do carry pure, cold pressed castor oil at the store and have also found empty mascara tubes that we have available for sale so you can make your own eyelash (or eyebrow) serum preparations. Castor oil has been getting a lot of press lately for possibly helping to encourage eyelash growth. There is some research that has linked an ingredient in castor oil with encouraging hair growth and preventing hair loss, though it is far from conclusive. Still, using castor oil (particularly when it is used with an eyelash brush container like we have at the health food store) won’t hurt, and will definitely help with moisturizing eyelashes as well as reducing damage and breakage of eyelashes. Using an eyelash brush will help to apply castor oil only to the eyelashes, since you don’t want to put castor oil inside your eyes. I’ve started using just straight castor oil on my eyelashes to see if it makes a difference- the oil is thick so it coats the eyelashes really well without dripping or anything. I don’t feel extremely hopeful that it’s going to make my eyelashes significantly different, though I guess conditioning eyelashes (which I know it at least is doing that) is only beneficial, but who knows. It’s inexpensive and doesn’t hurt, so I figure it’s worth a try! I would especially advise making sure to use an eyelash brush with the above recipe, since you don’t want essential oils going in your eyes. This month’s recipe is a simple one that can be very useful. Essential oils are fantastic for so many things, not to mention just smelling great too. The vast majority of essential oils should be diluted before using (all should be in fact, with the exception of lavender and tea tree) before using on the skin since most oils are too strong to be used topically without dilution and can cause skin irritations. A 2% dilution is generally recommended as safe for adult use on a daily basis, whereas a 1% dilution is recommended for use on children. Essential oils are usually diluted with a carrier oil, but the downside of that is that using oils on the skin can feel “oily” which is not something everyone likes. Mixing essential oils with a prepared unscented lotion is a wonderful and simple way to dilute oils for use on the skin, as well as naturally scenting a lotion to your exact scent preference. We have a great unscented lotion at the store by the brand Everyone that comes in a 32oz. pump bottle. For a 2% dilution of 32oz. of product you would need 2 tsp. of essential oils. I wanted to use spice oils in my blend, which are known to be possibly irritating to the skin, so I decided to use 1 ½ tsp. in the blend I made, which I still felt was plenty strong enough (which worked out to be a 1.5% dilution). It’s handy to have a container that a gallon zip lock bag fits over the edges of, though you can just do it with a plain gallon zip lock bag. It’s recommended to gather all the materials before starting so everything is at your fingertips. Remove the pump from the container of lotion, and pour the entire container of lotion into your gallon zip lock bag. Add whatever combination of oils you desire to your mixture, totaling 5 teaspoons of oil. I used a combination of patchouli, cinnamon, clove, and orange- a blend of essential oils I really enjoy. Since I love patchouli, I did one teaspoon of that and then used half teaspoons of oils for the rest, which equaled a total of five tablespoons. Stir the mixture inside the ziplock bag until the oils are fully incorporated into the lotion. When the mixture is mixed, seal the top of the bag and snip the edge off of one of the bottom sides of the bag and gently squeeze the lotion back into the original bottle. Make a smaller cut off the corner that you think, since if the hole is too big it will make it difficult to squeeze the mixture back into the lotion container. When you’ve squeezed all the lotion back into the container, screw the pump top back on and give the bottle a vigorous shake. That’s it! This is my first time making a DIY scented lotion, and I absolutely love it and will definitely be doing it again. Another benefit is that I think the scent lasts on the skin much longer than standard scented lotions, even naturally scented ones. I am really happy with how this lotion turned out since so many of the lotions regularly available are flowery or fruity scents, which are not my favorites, so it’s nice to make a custom blend. Unfortunately the cold November weather this month heralds the true beginning of cold and flu season. Essential oils are a nice way to scent the home naturally, but did you know that many essential oils have real, scientifically documented benefits? Certain oils, like eucalyptus, have actually been shown to kill airborne bacteria and viruses when diffused into the air. This simple recipe is an easy solution for stinky shoes that uses baking soda and essential oils. Baking soda is a fantastic odor absorber and neutralizer, and adding essential oils makes it even more effective. Stir essential oils into baking powder until thoroughly combined. Store in a sealed container or zip lock bag. *Cedarwood, lavender, and tea tree are my favorites for this recipe, though any essential oils or essential oil blends will work. Tea tree oil is especially good to use as part of your blend since it has strong antibacterial and antifungal properties. Liberally sprinkle the mixture on the inside footbed of the shoes (you should use enough that there is a fine layer covering the entire inside of the shoe). Let sit overnight and shake excess baking powder out in the morning. For especially stinky shoes, let the mixture sit in shoes for 24 hours or longer before removing. Sprinkling works great for shoes like gym shoes or boots which are worn with socks since if there is a tiny bit of baking soda left in the bottom of the shoes, it’s unnoticeable when wearing socks. For shoes that are worn barefoot like ballet flats, you can put ¼ cup of the mixture in a piece of cloth (or inside a thin sock) and tie, making a sachet. Place the baking soda filled cloth in shoes overnight to soak up odors without leaving any baking soda residue. It’s also best to use the sachets for leather shoes since baking soda can damage leather with repeated use. Over time, the sachets will need to be refilled with a fresh baking soda and essential oil mixture to retain effectiveness, but they can be used a number of times before they start to lose effectiveness. This simple recipe is absolutely fantastic as an after sun spray and is also very soothing and healing for sunburn. Both aloe and witch hazel are soothing to the skin, and can help with reducing pain, itching, and peeling if you do happen to get a sunburn. In addition to the aloe and witch hazel, this recipe also uses a bit of essential oils, which add additional healing properties. The peppermint oil in this spray gives a fantastic cooling sensation to the skin, and lavender oil is calming and healing to the skin. This recipe makes a 2oz bottle, but can easily be doubled (or tripled!) for a larger spray bottle. The witch hazel has preservative properties, so it can be stored at room temperature, but storing in the fridge can make this spray feel even better on hot, sun damaged skin. Interestingly, my daughter also feels this spray helps with reducing the itching of bug bites, so that’s a nice additional use! Add all ingredients to 2 oz. amber bottle (available at the store), taking care not to overfill. The different essential oil amounts are for two different dilutions. The smaller amount is for a 1% essential oil dilution, which is the amount recommended for children or those with sensitive skin, whereas the larger oil amount is a 2% dilution, which is the amount recommended for general adult use. Apply as desired after sun exposure! We have had several people ask for cellulite oils at the store, so I thought we’d post an essential oil recipe for cellulite. First, let me say that in general, having cellulite is genetic. Cellulite is caused when fat deposits push through connective tissues near the skin. Even people who are slender and fit have cellulite, in fact, 90% of women will experience cellulite in their lifetime. I am skeptical of most cellulite creams on the market, especially those advertising “miracle results”. Still, there are several essential oils that may help with tightening and detoxifying the skin to reduce the appearance of cellulite. Grapefruit oil can help to remove toxins from the body. Juniper oil can help with reducing water retention. Cypress oil can help to improve circulation, as well as reducing water retention. Rosemary and cinnamon oils can also help to improve the circulation of blood in the body. Orange oil also helps with circulation, and can work to tighten the skin. Put the essential oils in the bottom of the dropper bottle and fill the rest of the way with a carrier oil. Be sure not to overfill the bottle so you’re able to put the dropper back in without overflowing. Rub the oil mixture on problem areas before bed or as desired. 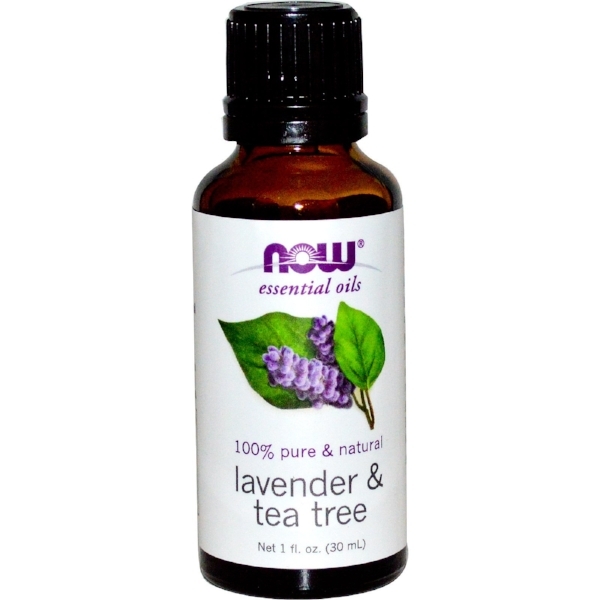 This is a great essential oil recipe for helping to neutralize odors. It works extremely when sprayed on clothing and fabrics to remove unpleasant odors, as well as an overall room freshener (one of our employees keeps a spray bottle of this in the bathroom, and her family loves it!). The witch hazel helps to keep the oil and water mixed, and also works as a natural preservative. Chemical-laden air fresheners are terrible for our lungs and add to the overall toxic load in our homes, so this is a wonderful, natural alternative! Fill a 2 oz. amber spray bottle a little less than halfway with witch hazel. Next, add the essential oils. Finally, fill the bottle the rest of the way with water (do not fill the bottle up to the neck so the atomizer top can still be put on. This recipe can also be multiplied if using a larger spray bottle. When using on clothing, I recommend spraying it on the inside of the garment. It works best on heavier materials like sweaters. I would not recommend using it on delicate fabrics, just to be on the safe side. The oil from the neem tree has been used in traditional Ayurvedic medicine for thousands due to its healing properties. In Hindu texts, neem is referred to as the plant that “cures all ailments and ills” and has its roots in the Sanskrit word meaning “bestower of good health”. 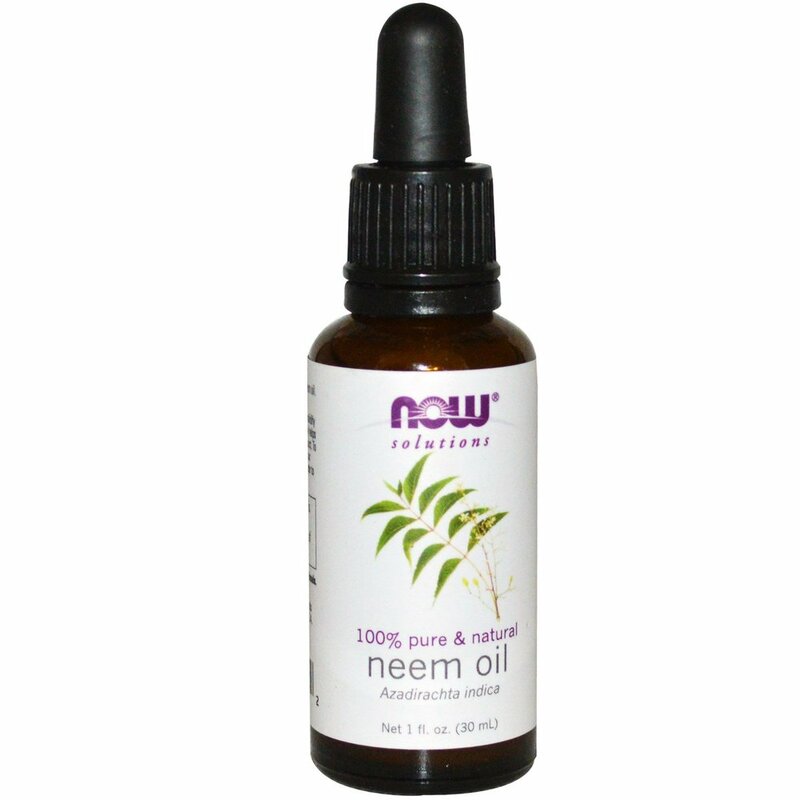 Neem oil is a potent source of beneficial oils and is astringent, antibacterial, and antifungal. It also helps to boost circulation and repels lice and mites. Neem oil can be beneficial to the skin and hair, and is often used to rejuvenate hair growth as well as to combat a variety of problems of the scalp including psoriasis and eczema, scalp irritation, and dryness and dandruff. Massaging neem oil into the scalp before bed or a few hours before washing can make a big difference in the overall health of the scalp. Neem oil can also help with the overall condition of the hair, since neem is rich in essential fatty acids, which help to nourish dry and damaged hair. The only drawback to neem is that it has a slightly odd or medicinal smell (it personally reminds me of peanuts). If you dislike the natural smell of neem, you can add a small amount of essential oils to the neem oil before applying to the hair (which will also enhance its benefit). For dry and damaged hair, try sandalwood or geranium oil; for encouraging hair growth try atlas cedar, juniper berry, cedarwood, or lavender; for oily hair and scalp try patchouli, rosemary, or ylang ylang. One more note about neem oil- at room temperature (especially when it’s on the colder side) neem can begin to turn solid, so when you open a bottle, you may see tiny chunks of oil on the dropper. It doesn’t mean there’s anything wrong with the oil, it’s just what it naturally does. If you find your neem oil beginning to solidify around the dropper or cap, just run the bottle under warm water for a minute and it should be fine. This recipe is fantastic for winter! It helps to protect animal's paws against the harsh winter weather! Melt beeswax in a double boiler or bowl inside a pot of boiling water. Once the beeswax has melted, add the other oils, followed by the lavender oil. Pour into containers (if using plastic containers, let mixture cool slightly before pouring. Apply to dogs or cat’s feet before letting them outside in the cold as a barrier against the elements, This balm helps to prevent cracking and excessive drying of the paws.